We are pleased to announce SDM-15 organised by the University of Seville in conjunction with KES International. The Conference will consist of keynote talks, oral and poster presentations, invited sessions and workshops, on the applications and theory of sustainable design and manufacturing and related areas. It will provide excellent opportunities for the presentation of interesting new research results and discussion about them, leading to knowledge exchange and the generation of new ideas. Seville (Sevilla in Spanish) is the capital and largest city of Andalusia and the province of Seville, Spain and lies on the plain of the River Guadalquivir. 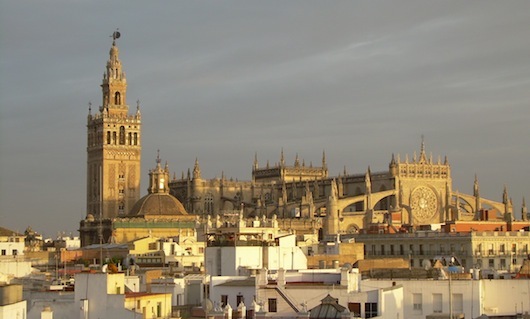 Seville has a population of about 700,000, although including the suburbs this increases to 1.5 million. Its Old Town contains three UNESCO World Heritage Sites: the Alcázar palace complex, the Cathedral and the General Archive of the Indies. Seville harbour, about 80 kilometres from the Atlantic, is the only river port in Spain. The pleasant climate, historical and cultural features, shops, restaurants and nightlife, make Seville an extremely attractive place to visit.